When someone is first diagnosed with incontinence they often feel alone. However, the reality is that there are millions of people who have been diagnosed with incontinence. This group of people includes individuals of all ages, varying health status, and both genders. There is a mistaken belief that incontinence is a normal part of aging. The reality is that while incontinence is more common as we age this is only true because it is often caused by medical conditions that are more common as we grow older. Because incontinence is a medical problem anyone experiencing symptoms should immediately seek out a medical evaluation by their doctor. Fit-Many people overlook the importance that fit has in the effectiveness of any incontinence product. The bottom line is that fit is crucial to how well your incontinence undergarment or incontinence pad will work. You will need to keep in mind that there is not standard sizing from brand to brand. This means that one brand of incontinence products may be sized totally different from another. You will need to take your time and find the size that fits you the best. Not only will size play a part in how well your incontinence undergarment works it will also provide the needed level of comfort. Because there is such a wide range of sizes everyone from the smallest to the largest people can find the right size for them. Absorbency needs-Everyone with incontinence will have different absorbency needs. While some people have only light incontinence others may experience a complete loss of bladder and/or bowel control. You will need to have a clear idea of what your absorbency needs will be before selecting an incontinence product. It is important to keep in mind that you may need a different absorbency from day to night as well as different absorbencies on any particular day. Having a range of absorbencies can be helpful in managing incontinence. Discretion-Many people assume that they will have to use an incontinence undergarment that is bulky and noisy. You may be afraid that everyone will notice a certain rustling as you walk by. While there are certainly incontinence products that do cause a noise and are bulkier then others, there are many different types that can be worn discreetly and comfortably. Keep in mind that many types of incontinence products are designed to be worn discreetly under normal clothing so that no one can tell you are using an incontinence undergarment or adult diaper. Buying options-Today, there is no need to have to go to the drugstore or the grocery store to buy you incontinence products. 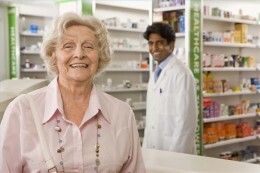 There are many online sites that offer a wide range of adult incontinence products. You can purchase everything from incontinence pads, incontinence undergarments, and even adult diapers on these sites from the comfort and privacy of your home or office and have them shipped directly to you. Best of all, these sites will allow you to choose the incontinence products that work best for both your incontinence management needs and your budget. About The CareGiver Partnership. The CareGiver Partnership helps caregivers and their loved ones with answers to their caregiving questions, including information about home health care products and supplies, from our Wisconsin-based team of Product Specialists who are all current or former caregivers. The company’s Web site provides the largest online library of resources on subjects most important to caregivers — from arthritis to assisted living, and Parkinson’s to prostate cancer — as well as access to more than 3,000 home care products for incontinence, skin care, mobility, home safety and daily living aids. The CareGiver Partnership was founded in 2004 by Lynn Wilson of Neenah, Wisc. Visit www.caregiverpartnership.com to learn more or call 1-800-985-1353.